The internet is still very much the wild west where malicious individuals and “state-sponsored actors” can cripple your business and hijack your data with a few well-executed keystrokes. Whether it is financial information, system passwords, or intellectual property, a data breach can expose your business to an incredible amount of risk. Our penetration testing services can help you keep your information and that of your customers private. There are so many ways your security can fail, making the task of finding vulnerabilities during penetration testing that much more critical. Which is why it’s crucial to undertake security testing with our highly experienced security professionals. 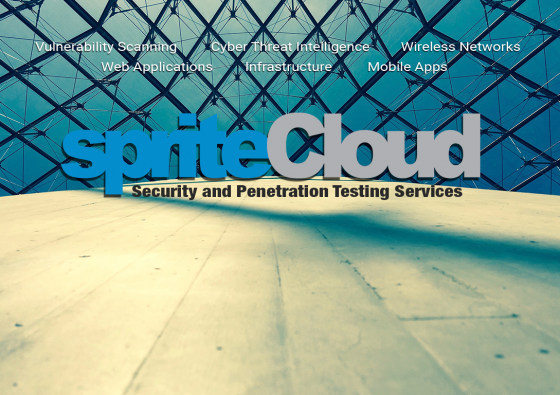 With spriteCloud, you are in safe hands. We’re the experts at uncovering vulnerabilities through penetration testing (pen-testing), and we deal with your information with the utmost discretion and confidentiality. Your reputation and your bottom line depend on it. Unlike how a penetration test tries to exploit vulnerabilities that are uncovered during scans, vulnerability scanning merely identifies potential vulnerabilities in network devices like routers, switches, servers, firewalls and applications. Running a vulnerability scan is lower in cost than performing a penetration test but it only identifies that a vulnerability exists, it does not provide detail into how seriously the vulnerability could be exploited. We use enterprise-level products for vulnerability scanning to ensure you get the best results. 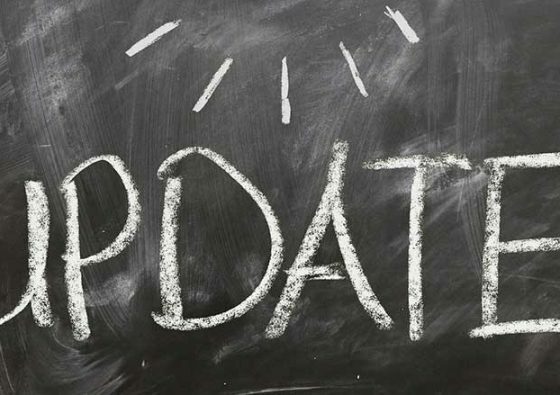 As data breaches are often the result of unpatched vulnerabilities, vulnerability scanning provides a proactive approach for identifying and eliminating these security gaps. We, therefore, recommend running a vulnerability scanning regularly to ensure that you are not left exposed to newly found vulnerabilities. We provide on-demand both credentialed and non-credentialed scans from both external and internal perspectives. Request a vulnerability scan using our contact form. The cyber threat intelligence using the open-source intelligence (OSINT) methodology entails collecting information about your organisation from publicly available sources. Our goal is to provide you with a threat assessment based on information that hackers have access to and are known to use. We don’t simply collect data, we provide data analysis and disseminate it to you in terms of actionable recommendations. This kind of information could be used to help attackers impersonate a high-level decision maker, launch more effective phishing attacks, social engineering campaigns, and subsequently compromise your security. Our cyber threat intelligence service includes gathering general information about the target organization, performing a thorough network analysis through DNS and subdomain enumeration techniques, identifying the organisation’s internet footprint including information on key personnel and source code leaks, and a non-invasive assessment to discover weaknesses that are exploitable on the network, along with any unauthorised routes into the target network. Request a cyber threat intelligence assessment using our contact form. A web application penetration test uses manual and automated approaches to identify security threats or vulnerabilities in your web application. The purpose of this pen-testing is to determine vulnerabilities, possible threats and help identify ways to mitigate them across the whole application and its component parts (database, source code, back-end services). Our team of OSCE and OSCP certified “ethical hackers” use exploits (like SQL injections and XML External Entity (XXE) injections) to constantly probes ways to gain control of your web application; so that you can prevent others from doing so. In other words, fighting the fire with fire. We offer three approaches to web application penetration testing; to help you ensure the security of your application. Closest scenarios to what a real hacker would face. Tester acts as normal internet user during pen-testing (with no knowledge of application or source code). A combination of black and clear box pen-testing. Exhaustive pen-tests while remaining close to realistic attack conditions. Testers are given knowledge of the workings of applications. The tester has no access to the source code. Tests are more thorough than black-box pen-testing. Testers have access to the source code. Tester are able check the quality of the code. This method is not representative of real-life attack conditions. More effective at securing application due to in-depth look at source. Request a web application penetration test with our contact form. Wireless communications are essential in our modern way of life, but wireless networks are one of the most common entry points that attackers use to gain access to your enterprise network. Wireless networks are difficult to control, monitor, and protect from penetration which is why wireless network security experts are often hired to test the network. Unless you plan to eliminate the WIFI networks in your organisation, assessing vulnerabilities in it is a must. Threatening the privacy of other wireless users. Our wireless network penetration tests are designed to employ the latest techniques to identify possible vulnerabilities in WEP, WPA-PSK, WPA2, WPA3 encrypted networks as well as checking for rogue access points (i.e. entry already gained). What does our wireless network penetration test entail? Request a wireless network penetration test via our contact form. With multiple computer systems, devices and users, your infrastructure has many points through which a malicious actor can gain entry and wreak havoc. Your company needs network security testing. Our infrastructure, or network, penetration testing gives you a head start by helping you plug gaps in your defences and ensure that your customer data, intellectual property and financial information remains secure from through threats both an external and internal perspective. Our certified security experts are trained to help you turn your network into a virtual fortress. We offer two approaches to network penetration testing. The test identifies possible points of entry into the network. An assessment of how to secure network is provided. The purpose is to find security issues within the network. The test provides insights into reducing damage internal actors can deal. Request an infrastructure penetration test using our contact form. Just as quickly as mobile devices and mobile applications have become a part of daily life, so too have security breaches and attacks increase in frequency. A major cause of this is the increased time pressures that app developers face to provide new functionalities and bring the apps to market. All these reasons make frequent mobile application penetration testing crucial in order to protect the reputation of your app and your business. Our team of security experts will help you uncover vulnerabilities via pen-testing and secure them. Request a mobile application penetration test with our contact form. For more information about how penetration testing can help you secure your applications and networks, contact us using the contact form below or call Suzan Boland at +31 (0) 615 368 705. Are your applications and websites secure?